TST BOCES, in partnership with participating component districts, will be providing an exciting new educational opportunity to students when the TST P-TECH Academy opens its doors for the 2018-2019 school year. Upon completion, students will graduate with a Regents high school diploma and an associate’s degree from Tompkins Cortland Community College through the CollegeNow program, at no cost to the students’ families. Associates in Applied Science degrees are available in computer information systems, computer support specialist or applied science and technology, depending on the chosen pathway. 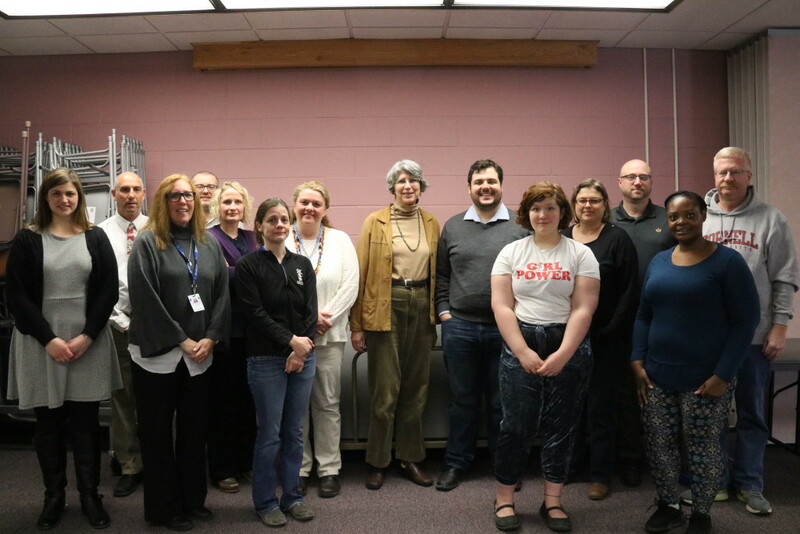 Tompkins Cortland Community College staff and faculty are collaborating closely with TST BOCES to ensure that P-TECH’s curriculum is aligned with students’ degree goals and to provide additional supports for each student’s academic success. The P-TECH model is designed to provide a unique and individualized education to students including those from demographics typically underrepresented in post-secondary education, who may not traditionally have access to college or whose parents have not attended college. The rigorous and cutting-edge curriculum integrates high school material with college courses throughout the duration of the program. An emphasis is placed on project-based learning, helping students practice collaboration and develop problem solving skills vital to success in the workplace. Part of what makes P-TECH such an innovative program is a close collaboration with community and industry partners to help provide students with skills and access to entry-level jobs in their chosen career path. The P-TECH model was initially established with the help of IBM as a mutually beneficial relationship between students and employers. Students are benefited by receiving an education informed by the needs of real-world employers while employers are in turn able to develop a workforce with the exact skill set they need. The TST P-TECH Academy regional industry partners include: C&D Assembly, Inc., MACOM, Inc., The Computing Center, Rheonix Inc., ADC, Mezmeriz and REV. Tompkins County Area Development, the Tompkins County Chamber of Commerce and the Workforce Development Board are also community partners. The TST P-TECH Academy will bring an incredible new educational opportunity to students in the region. By combining high school and college material, and working with industry partners to develop a career-focused curriculum, P-TECH represents a unique approach to education that aims to give students the skills and connections they need to find high-skill, high-demand careers in their chosen fields. This program will provide students access to education and training that would otherwise be out of their grasp while also strengthening high-tech businesses in the region by helping train the next generation of workers in key technical fields. For more information visit www.tstboces.org. Interested students and parents should talk to their school counselors or contact Diahann Hesler by calling 607-257-1551 ext. 2001.